I've often said that jewelry designs need not be difficult. The right choice of materials used in inspired ways works wonders. 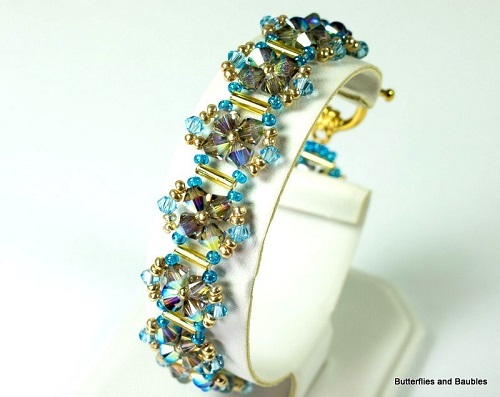 This gorgeous beaded crystal bracelet tutorial by Debbie of Butterflies and Baubles shows what I mean. It is reminiscent of high end jewelry. Yet, it is a simple to make right angle weave bracelets. 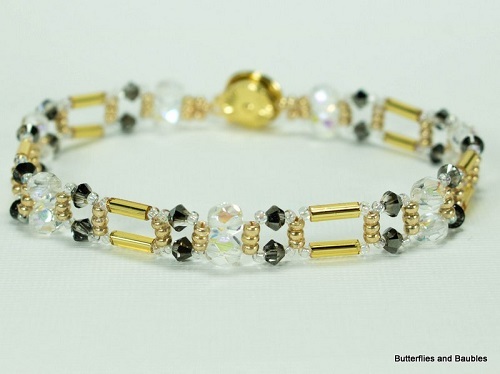 One key element which made the design pop is when Debbie chose to use gold bugle beads. These delineated the crystal motifs very well. Those rainbow hued crystals are stunning. Her site is undergoing updates. So please try again later.